What can you expect as a client of the Firm? Excellence. You can expect careful and thorough assessment and analysis of your legal needs. You can expect careful and thorough research, and polished advocacy, both formal and informal, in writing, in meetings, and in court. Personal and Client-Centered Representation. 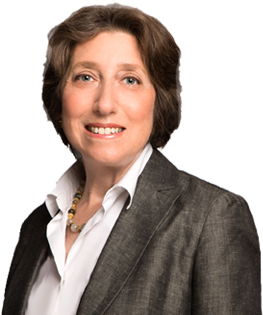 You can expect legal services tailored to your needs, provided personally to you by Deborah Karpatkin. You can expect to be kept up to date about your matter, and prompt responses to your questions and concerns. Cost-Conscious Advocacy. You can expect legal services conscious of your particular financial, personal and business needs. You can expect consideration of diverse legal and strategic options before litigation. In court, you can expect vigorous advocacy, always mindful of cost. Integrity. You can expect careful consideration and candid assessment of your matter, because not all representations are accepted. As a client, you will know that the Firm has confidence in you and in the legal claims asserted on your behalf. Commitment. You can expect representation committed to the pursuit of outcomes that are fair and just.